Can Detroit Red Wings' Henrik Zetterberg Reach 400 Goals? 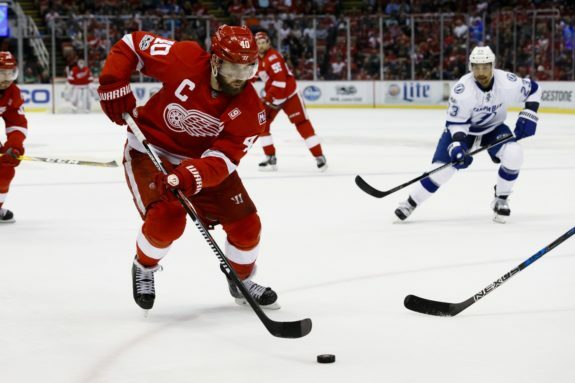 Can Red Wings’ Zetterberg Score 400? On Feb. 24, Detroit Red Wings captain Henrik Zetterberg scored the 335th goal of his career, placing him in a tie with Ted Lindsay for fifth all-time in goals scored for the Original Six franchise. The 37-year-old has three years remaining on his contract following this season, which begs the question: can he reach fourth on the list? Detroit’s unique treasure sits just 65 goals shy of the milestone, a spot occupied by the great Sergei Fedorov, who recorded an even 400 goals during his 13-years in Detroit. Fedorov joined the Red Wings as a 21-year-old defect from the USSR and posted nine 30-goal seasons, which included a career-high 56-goal campaign during the 1993-94 season. Zetterberg, a seventh-round pick in 1999, sits at 335 goals, 612 assists and 947 points through 1,065 career games and is wrapping up his 15th season in Hockeytown. He has led the team in points in six of the past eight seasons, including the past three, but has developed into more of a passer than a shooter in recent years. Entering his prime, the Swede posted four straight 30-goal seasons from 2005-2009, which included a 43-goal high in 2007-08. He led the Red Wings to the 2008 Stanley Cup title and earned the Conn Smythe Trophy as the postseason MVP. Zetterberg averaged a shooting percentage of 13.5% through his first six seasons, never dipping below 10% in that span. Over his next three seasons (2009-12), he recorded 23, 24 and 22-goal campaigns with an average shooting percentage of just 7.8% in that time. The captain still pumps out shots at an elite level but a mix of bad luck, low-percentage shot choices and a decline in power play production dropped his goal totals. In 2013-14, he appeared to be turning his bad luck around with a shooting percentage of 10.6%, netting 16 goals in 46 games—a pace of 28 goals over 82 games—before a back injury at the Olympics ended his season and threatened his career. His shooting percentage has consistently been below 10% over the past four years, so his best chance to reach the 400-goal milestone is to pile on the shots in his next three seasons, assuming he plays them. Prior to the 2017-18 season, Zetterberg made comments about not playing out his contract and, at the time, said he believed he had two years left, hinting at retirement following the 2018-19 campaign. He has since backtracked on those comments and his ability to remain effective offensively could mean he plays through 2021, at the age of 40. At this point in his career, less should be more for the captain, as the younger generation takes on bigger roles during the on-the-fly rebuild. But Red Wings coach Jeff Blashill has continued to rely heavily on Zetterberg since taking over for Mike Babcock ahead of the 2015-16 season. The 37-year-old has averaged more than 19:20 of ice time in each of his three years under Blashill, often facing the opponent’s shutdown line. Dylan Larkin is proving to be the heir apparent to the top-line center and could earn it as soon as 2018-19, which would finally decrease the onus on Zetterberg, allowing him weaker match-ups and more rest on a nightly basis. 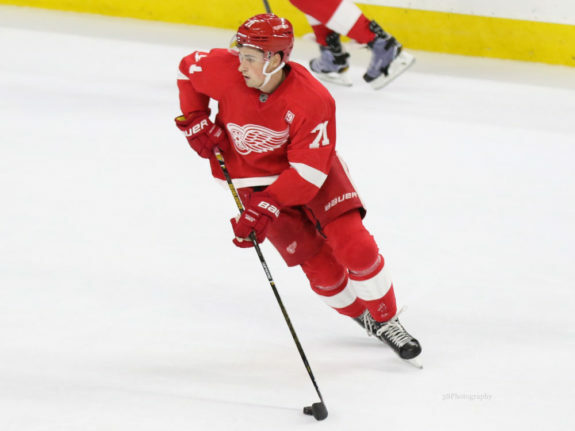 Should a couple of prospects prove NHL-ready for 2018-19 (Michael Rasmussen, winger Evgeny Svechnikov, the 2018 first-round pick), Zetterberg could have some fast, skilled players surrounding him to end his career as he looks for 400. Assuming he plays out his contract, an average of 22 goals over three years (including 17 games left this season) seems unlikely for an aging veteran, given he has not hit 20 goals since 2011-12. But perhaps he can find some motivation and youthfulness with fresh talent around him to end his fine career.